Providing a safe place for your baby to play or nap can be a great bonus for parents when they want to get stuff done around the house. 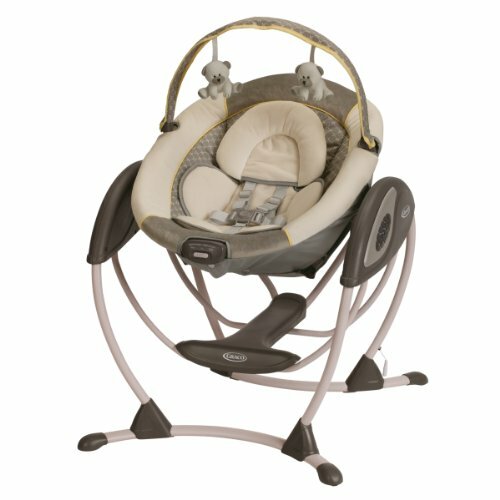 Lightweight bouncers often have vibrations that amuse and entertain little ones while swings are heavier with a seat that moves your baby at a comforting and relaxing pace. Here are a few tips on what to look for in the best baby bouncers and swings for your baby and a few reviews to help you start shopping. Cheaper than swings, baby bouncers are also more lightweight and take up less space which makes them easy to use around your house. Bouncers are great to have when you need to take a shower or get some housework done and you want your little one to be safe and entertained. The seat on your bouncer should be comfortable with materials that are soft to the touch and won’t irritate your baby’s skin. Make sure the seat has enough padding so your little one is comfortable while she bounces, but remember that seats with too much padding may not give your little one enough support. Also, having seats that are easy to clean and is machine washable is always a plus. Seats also need to have enough head support, especially for newborns who will need a cushioned head support. These head supports are also removable which will allow your little one to use the bouncer as she grows. Some seats also allow you to adjust it into different reclining positions as older children prefer to sit up and newborn enjoy a reclined position. The frame on the bouncer determines how bouncy it will be, so it is important to make sure the frame meet your preferences. It should also be made of a durable material like metal that will outlast your little ones use and have a wide base with non-slip pads so it will not be easy to knock or flip the bouncer over and it won’t creep across the floor. Portability can also be important to some people who need to fold it up when it is not in use or take it with them when they travel. Make sure you know the weight limit on the bouncer you are considering and that your little one will be done with it long before she outgrows it. Security straps like a five-point harness need to be durable and strong as well as comfortable and, if you plan to use it outside, make sure it comes with a sunshade. Swings tend to be more expensive and take up more space, but they are great to have on hand to rock and soothe your little one. This is a really convenient piece of baby equipment when you need to do something else but your little one needs to be rocked. Type – Swings range from basic models with no-frills to swings loaded with toys and entertainment. Some are even portable while other full-size swings will take up a permanent spot in your nursery. Power – You will find that a lot of baby swings have a battery-operated motor. Some also have a plug-in option that will help save you from going through a lot of batteries. Keep in mind that the motor will give off a humming noise that can startle some baby and soothe others. Safety harness – Always make sure that your swing has the proper safety harness. All full-size swings are required to offer either a five-point or three-point harness to keep your little one from slipping out of the swing. Remember that five-point harnesses are the safest as they also include over-the-shoulder straps. Speed and Motion – Swing tend to rock head to toe, but there are some versions that include a cradle motion that goes side to side. There are also some hybrid swing and bouncy seats that have a hopping motion that goes up and down or circular motions that move around and around. They also should offer speed options so that you can choose a speed that meets your little one’s preference. Sturdiness – Wide and sturdy frames that are low to the ground tend to be the best in case your baby leans to one side. It is also helpful if the swing can fold up or disassemble easily for travel and storage. Easy to clean – Drool and spit-up are going to happen so a seat with a washable and removable cover will come in handy. Comfort – Some swings offer a cradle-style that have seats that recline far back which is perfect for a newborn. Also, make sure the seat is nicely padded for comfort. Providing plush luxury, the Swing ‘n Go Portable Swing gives you portable convenience that you can easily fold and carry with just one hand. With pastel colors that are neutral, this swing is ideal for either girls or boys and uses super plush padding and fabric that is a soothing environment for your little one. 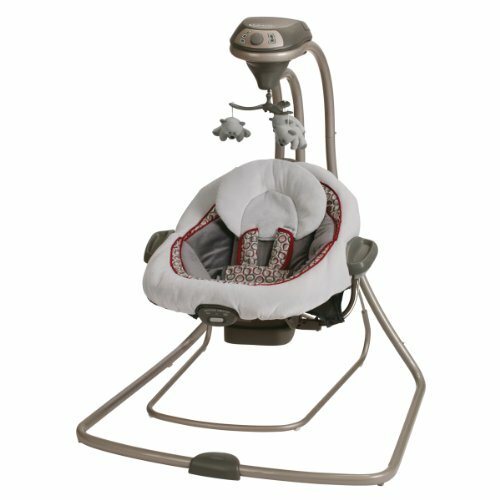 It features five swing speeds with three choices on the timer that lets you find just the rights swing time for your baby. The Swing ‘n Go also includes three nature sounds and eight songs, plus it comes with Hyberdrive technology that helps you save on batteries giving you longer swing times. It also includes fabrics that are easy to clean and features safety features like a five-point harness, padded head support, and non-slip feet. Parents will also appreciate the whisper quiet operation of the swing for an almost noiseless experience. Featuring gentle vibration to relax and soothe your baby, the Graco DuetConnect Swing has two speed settings plus ten classic songs and five nature sounds. It features plush fabrics and head support that keeps your little one comfortable and cozy. It also includes a mobile with three soft toys that will keep your baby entertained while she swings. 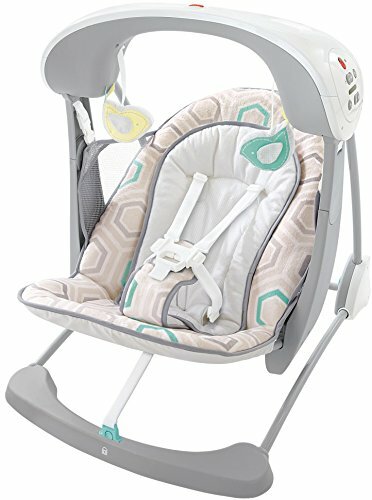 The Graco DuetConnect Swing also features a five point harness with soft fabric covers that will keep your little comfortable while providing you with peace of mind. This cloth seat pad is machine washable and the swing frame easily wipes clean with soap and water. And, with the DuetConnect feature, you can choose either batteries or a convenient power source like a wall outlet to help you save on batteries. 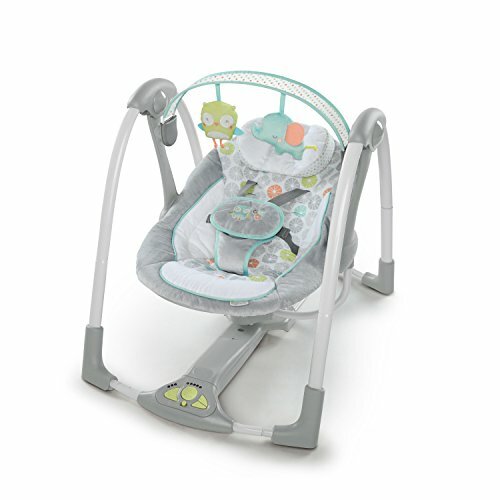 With an inclined baby seat, your little one can rock around the clock with the Fisher Price Deluxe Cradle Swing. All she needs is a little push from you to get the sleeper to rock back and forth. 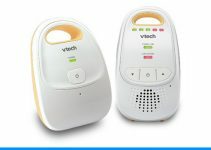 It also features optional calming vibrations, a three-point harness, clacker rings for playtime, and a lightweight design that easily folds to take with you or to store. 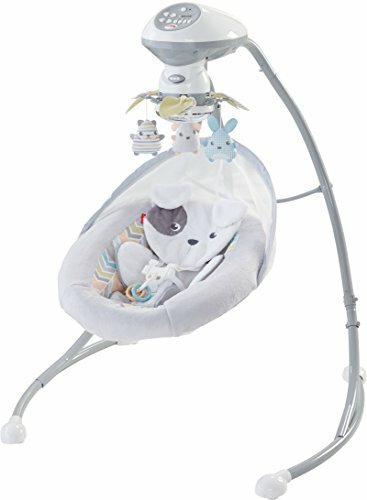 The Fisher Price Deluxe Cradle Swing includes 16 soothing music options, nature sounds, calming vibrations, and dual-motion swinging so you find the swing time and speed that works well for you. It also has snuggly soft fabrics that allow your little one to relax in comfort. You can even mix and match all of the options to find the best combination for your little one. Using the same motion that you use when comforting and cuddling your baby, the Graco Glider LX Baby Swing is an innovative gliding swing that uses a compact frame for a 40% smaller footprint. With a roomy and plush seat, the Graco Glider features an infant support that is removable and vibrations that help to keep your baby cozy. This is a full-featured swing that uses a smart frame design that easily fits into any room in your house. The Graco Glider also lets you choose whether or not to use batteries or plug the swing into the wall and also includes a five point harness to give your baby peace of mind while she swings in comfort. With the timer mode, you can leave the glider on only as long as you need to help extend battery life. It features six gliding speeds, ten classic songs, and five nature sounds as well as a toy bar with two soft toys for your little ones entertainment. Jumperoos give little ones so much to discover and play with from a piano to a roller ball, to a hanging monkey. 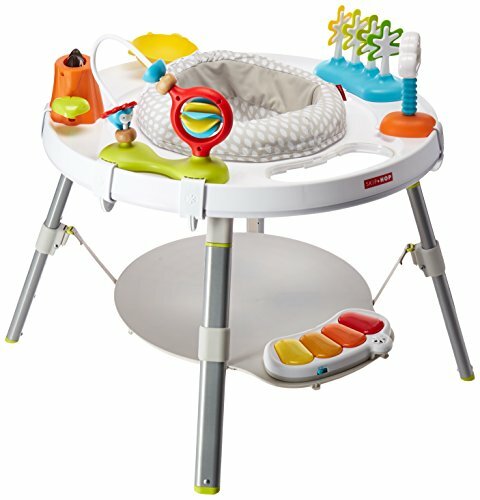 The Fisher Price Discover n Grow Jumperoo plays sounds, lights, and music every time your baby jumps. This is a sturdy product made with a free-standing steel frame that lets your baby safely jump without with soft spring covers that keep her little fingers safe. 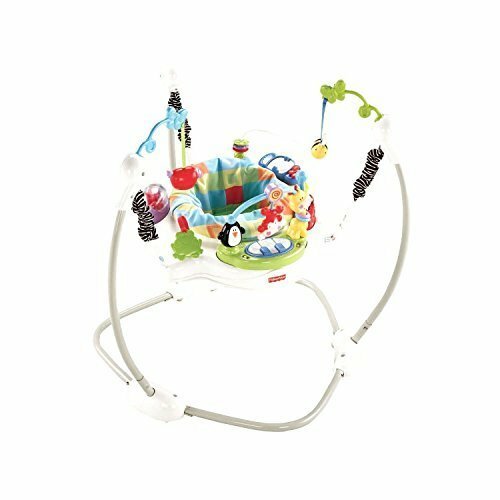 This is an easy to adjust jumperoo providing three different heights to keep up with your baby as she grows. There is a machine washable seat pad and the legs easily fold for convenient storage. The Fisher Price Jumperoo is a great way for babies to learn cause and effect as her jumping and moving will help to improve her large motor skills. The Ingenuity Convert Me Swing is two seats in one. The swing easily converts into a seat that features soothing vibrations and your baby will be entertained with five swing speeds, eight songs, and three nature sounds. It also features leaf-like toy bar that pivots that includes one plush toy and three loops to attach additional toys. Covered in detailed embellishments and embroidery, the Ingenuity Convert Me Swing can be used for either boys or girls. It also features Hybrid rive Technology which will help your batteries last three times longer, and it easily folds allowing it to lay flat so you can easily transport or store the swing. Plus, Whisper Quiet technology lets your swing in silence while the five point harness and non-slip feet keep her safe and secure. If you’re constantly on the go and need a swing to go with you, the Fisher Price Deluxe Take Along Swing is a convenient swing for home or when you travel. This is a great option when your little one wants to sit up and play or take a little nap. Featuring a very soft seat pad that is machine washable, this swing has six swing speeds, calming vibrations, and ten tranquil songs. The Fisher-Price Deluxe Take-Along Swing is also easy to fold so you can take it with anywhere or easily store when not in use. 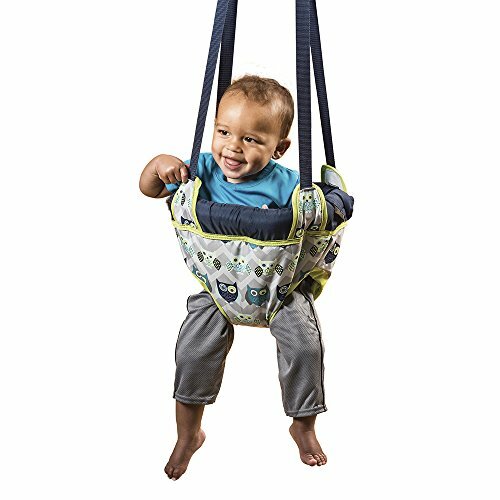 With gentle motion and soothing music, the swing helps provide development through stimulating your baby’s senses. If you baby loves to jump up and down, she will enjoy the Graco Bumper Jumper. This is a portable and fun way for your baby to be entertained that easily attaches to door frames to make an instant play activity that will amuse and delight your little one. This jumper is also an easy to clean and maintain jumper with a removable nylon seat pad that is machine washable. With special straps that won’t twist, the Graco Bumper Jumper features a plastic dome that keeps the straps apart which helps in getting your little one in and out. There is also a safety cord that is hidden that includes a sturdy spring and a clamp that is spring-loaded and won’t leave a mark on your door moldings. This jumper will also grow along with your baby and has an easy height adjustment so it will always be at the right height. Stimulating babies through jumping fun, the Evenflo ExerSaucer Door Jumper provides exercise and entertainment for your little one without taking up valuable floor space. Your child is surrounded with a framed seat giving her comfort while the strong and sturdy clamp locks onto the door frame providing a secure fit. You can feel comfortable knowing your baby has the protection of a spring that is fully enclosed which stops little ones from touching the spring. The Evenflo ExerSaucer Door Jumper is great for using at home or for on the go playtime fun. It easily wipes clean when your little one is finished playing, and it has adjustable straps that grows with your baby as she gets bigger. This jumper fits standard doorways that measure between 3 and 6 inches thick and will firmly attach to door trim that is at least a half inch wide. Captivating babies from head to toe, the Skip Hop Explore 3 Stage Activity is a modern activity center from four months to a toddler. Created with the help of a pediatrician, this baby activity center uses the entire body approach to learning and playing. 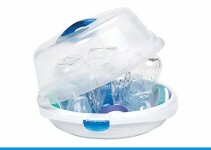 It is easy to put together and has toys that can be positioned in several different places. With the unique Discovery Window, babies can see their feet as their place teaching them cause and effect. Later, the activity center can convert for easy cruising and then into a sturdy and clean table for playing and coloring. Featuring a clean and modern aesthetic with several uses, this activity center will let you little one cruise, swivel, sit, play, interact, and bounce and features over 25 developmental activities. That concludes our best baby bouncers and swings list. Hopefully you have found something suitable from what we believe is some of the best available to buy today. At the very least the guide should help you understand the types of baby bouncers and swings out there, and focus you to what is best for you and your baby.